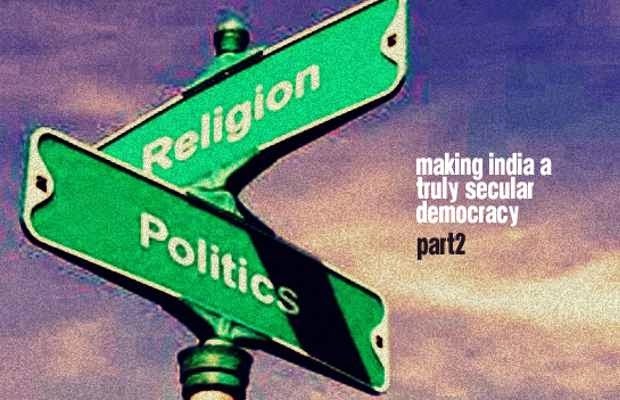 [In Part 1 we acknowledged that generally political parties proclaim their commitment to Secularism even as their actions often belie their statements. That Akbar’s attempt to introduce religious equality through Din-i-Ilahi failed despite its secular application in administrative policy. And failing to understand distinctions between religion, culture & morality we are likely to fail in implementation of secularism. – within that caste should be organized into four stages (ashrama) known as – Brahmacharya (student life), Grihastha (household life), Vanaprastha (retired life), Sannyasa (renounced life). A Hindu’s dharma is thus impacted by age, caste, occupation, and gender. Hindus readily accepted inhumane practices like caste system (वर्ण प्रथा), sati system (सती प्रथा), dowry system (दहेज प्रथा), etc. as a natural part of following Hindu dharma and for many centuries were not recognized as immoral or against humanity. – One should not treat others in ways that one would not like to be treated. These principals are known as the Golden Rules of Reciprocity across human civilization from ancient Greeks & Egyptians in the West to Indians and Chinese in the East. Even age old religions such as the Hinduism, Judaism, Christianity right up to modern faiths of Humanism and Scientology use the Golden Rules to formulate guidelines for their followers. It is from this secular moral code – treat others as one would like others to treat oneself – that we can derive the principles of JUSTICE (social, economic and political), LIBERTY (of thought, expression, belief, faith and worship), EQUALITY (of status and of opportunity) and FRATERNITY (assuring the dignity of the individual and the unity and integrity of the Nation) as enshrined in the preamble of the Indian Constitution. The exception to all this is in the state of Goa and Union Territory of Pondicherry, where a uniform civil code (not of Indian origin) already cover all citizens on matters of marriage, property, inheritance, adoption and divorce. Thankfully we still have a Common Criminal Codeeven though different religions have different codes of conduct to contain or cure criminal behaviour. 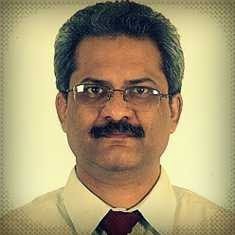 Recently there have been demands to recognize jurisdiction of khap panchayats and Shariah courts on matters of too. This is nothing but demand of religious bigots to accommodate of local cultural practices and religious beliefs in matters relating to the management of justice at a local level. This means Hindus, in general, are open to reviewing regressive customs in view of secular moral thought. There is thus no need to redefine Hinduism as eagerly espoused by the Sangh Parivar when they repeatedly give convoluted explanations for “Hindutva”. Now many Indians, either by habit or pride use the foreign (Persian) term – Hindu – to declare their citizenship to India i.e. Bharat. But surely one would prefer to use the correct politically and religiously neutral term – Bharatiya or Bharatvasi in its place! Just remember every Hindu is a Bharatvasi but every Bharatvasi is not a Hindu. Once the correct native term “Bharatiya” is accepted to denote Indian citizenship then the task of making India i.e. Bharat a truly secular nation becomes amazingly easy. All that we need to do is remove any reference to the word Hindu (as currently defined by religious terms) in the Indian Constitution and replace it with the politically and religiously neutral term “Bharatiya”. This totally neutral term would not ‘hurt’ anyone’s religious, regional or political sentiment while finding acceptance from all religious minorities. a) Introduce 27A after Article 27 to explicitly clarify that the state will keep itself at arms length on all matter of religion and not seek to promote any religion to the detriment of other religious beliefs. b) Remove all references to ‘decency’ or ‘morality’ from the constitution since these are used by fundamental religious moral minority to foist their version of decency or morality on others. c) Articles 28 of the Indian constitution should be grouped with the portion on “Cultural and Educational Rights”. This does not renumbering of this Article. d) Rename the portion on “Cultural and Educational Rights” so that it reads as only “Educational Rights” and remove any reference for conserving ‘culture’. Culture, as discussed earlier, is not singular or static. However language and script are generally both singular and static requiring support in conservation. 2. Our uniform criminal code is based on secular moral principles of the Golden Rule to deal with crime. Then by extension of logic we can surely govern ourselves by the very same Golden Rules of Reciprocity with respect to Civil Laws on marriage, property, inheritance, adoption and divorce. Openness to change and political will could be problems. No doubt both can be solved if media would devote more space for discussion. 3. State should keep itself away from spending or financing any activity that is either partially or fully charitable or non charitable promoted by one or more religious groups and/ or one or more religious sub-groups excluding the building and repair of infrastructure like roads, sanitation, water supply meant for the benefit of general population and the creation of inspection or audit bodies to verify account of donations and its expenditure managed by religious groups and/or sub-groups Typical examples would be – removal of subsidy of Haaj, non-interference in running or maintenance of temples. 4. Outlaw names that identify people by their caste. Create a law that does not allow people to use a caste identifier in the first name, middle name or surname. Instead people could be given the choice of using either parent’s official first name and where the parents first name is indicative of caste then only initials could be permitted. No doubt this suggestion is radical and may not find immediate acceptance. 5. Since religion and feudal structures go hand in hand, there is a need to promote Equality. We can do this by removing any contemporary symbol of feudal power that seeks to identify those in power or seeks to secure greater security to select group/ groups of people except other than by way of payment for the services provided. 6. Outlaw political parties that promote and/ or seek to promote religious identity/ affiliation with a view to gain power of governance.